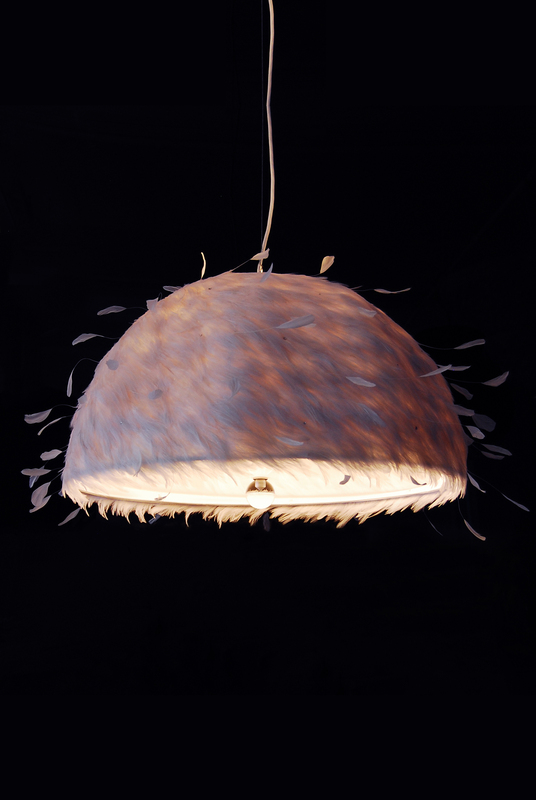 Hemisphere silk shade with white goose feather and white coque feathers with Swarovski crystal details. White bottom diffuser held in place with a clear acrylic ball. Internally lit with 3 incandescent bulbs. This entry was posted in Hanging. Bookmark the permalink.